Our mission is to be the leading retailer of Gloster Furniture in the World. We will do this by representing the brand's highest standards of quality and service. 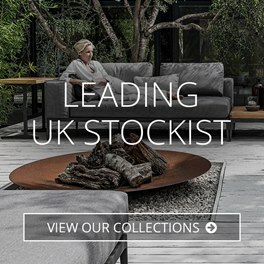 World of Teak is one of the UK's largest independent online retailers of Gloster furniture and accessories. The business was (and still is) a family affair, run by two brothers originally from Australia. The brothers, Paul and Brian, have over a decade's experience in the outdoor furniture business. When it came to looking for an exclusive brand to sell online the choice was easy - Gloster. The business has since grown to include the sale of other garden products under the World of Garden Products umbrella. 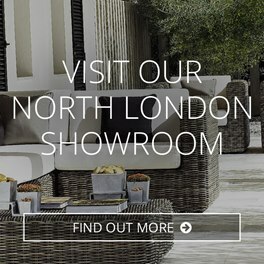 World of Teak is headquartered at in the London suburb of Bounds Green where it is affiliated with the Sunshine Garden Centre. The pooling of resources allows us to ensure the safest and most effective flow of goods from the manufacturer to you. The online-nature of the business gives us a lower cost base, with the savings passed on to you. Whatever you need, our experienced sales team is here to help. World of Teak provides a totally secure environment for online shopping, including a secure payments partnership with Secure Trading. For more information on our security measures please see our Secure Online Shopping page. If you would prefer to deal with us directly, please do not hesitate to call. We also offer a wide range of delivery options for the UK and Europe, so no matter your situation, we can ensure your Gloster products arrive perfect condition. 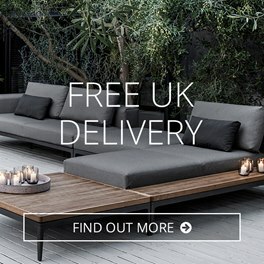 For more information on our delivery options, please view our Home Delivery Information page.